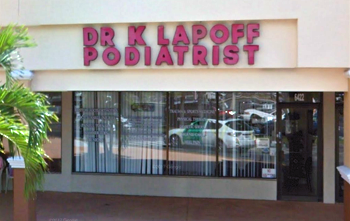 Thank you for choosing Kevin H. Lapoff, DPM, as your podiatrist in Lake Worth, Florida. 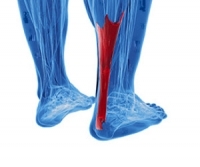 We have created this website to provide our patients with a means to research and educate themselves on various topics related to the foot and ankle conditions we treat. If you would like more information about a specific foot condition and the treatment options we offer, call our office today at (561) 232-3113 and speak with the foot doctor or someone from our friendly staff. Throughout this site you can find more information about our Lake Worth Foot & Ankle Clinic, new patient information, office hours, and much more. So, after you schedule your visit take some time to browse our website and familiarize yourself with our practice. 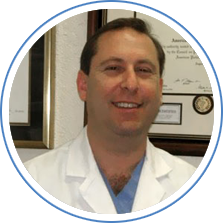 As a Lake Worth Podiatrist, Dr. Lapoff specializes in medical and surgical care of the foot and ankle. We accept most insurance plans and our convenient Lake Worth location allows us to treat patients from surrounding areas including Boynton Beach, West Palm Beach, Palm Springs, Greenacres, Delray Beach, Riviera Beach, and Wellington. Some common conditions we successfully treat everyday are bunions, heel pain, hammer toes, toenail fungus, achilles tendonitis, ankle injuries and ingrown nails. We welcome patients of all ages from small children to the elderly, and our goal is always to provide you with the most comfortable office experience possible. Dr. Kevin Lapoff provides each of his patients with the information they need to make good choices about their foot and ankle care. 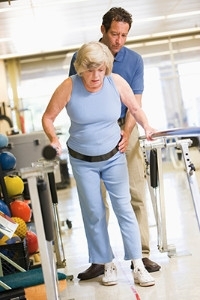 We also specialize in foot care for diabetics and custom orthotics. So, if you are looking for a foot doctor in Lake Worth, FL, we invite you to call us today to schedule, or simply Request an Appointment Online. 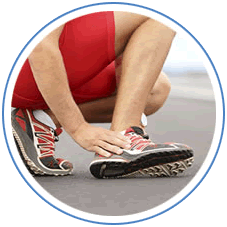 We look forward to getting you back on your feet with professional podiatric care.